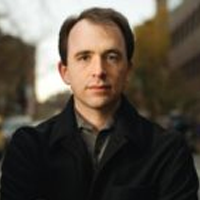 Benjamin Olken is Professor of Economics in the MIT Department of Economics. He completed his Ph.D. in Economics at Harvard in 2004. He spent the 2004-2005 year as a post-doctoral fellow at the National Bureau of Economic Research, and from 2005-2008 was a Junior Fellow at the Harvard Society of Fellows. His research focuses on empirical political economy questions in developing countries, with a particular emphasis on corruption. Most of his field work takes place in Indonesia, where he first lived in 1997-1998 as a Henry Luce Scholar. His research in Indonesia includes several randomized field experiments and extensive data collection, ranging from digging up roads in to uncover corruption in rural Java to tracing the bribes paid by truck drivers in Sumatra. Current research projects include the economic impacts of climate change, the relationship between political decentralization and illegal logging in Indonesia, and a randomized field experiment that examines whether developing country governments can use community-based mechanisms to improve targeting of aid programs to the poor.